We may not think that we have many choices when it comes to going to work each day and the job that we do, but in-fact we have many choices. The first is our attitude in which we will do our job that day, it can vary throughout the day, but we always have the choice on what it will be. Not that this is totally wrong because our work situations are best when it is a win-win, and have balance. It is when we start leaning more toward the “give me” side that our vision gets blurred. 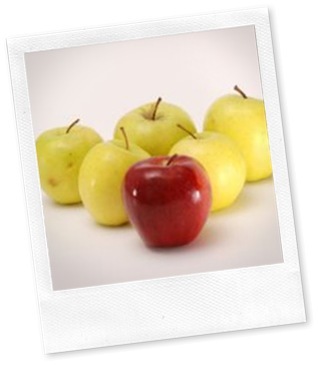 In creating that win-win balance we need to make sure that we are an “value-added” employee. What I mean by this is that we are more focused on what value we can add to our employer, their business, those we work with and serve. Taking the opportunities to stand out by focusing on what extra we can do, how we can assist others more and having a positive attitude. How can we be more constructive when there are issues to handle and setting high work standards for yourself. Ask yourself these questions…when my employer thinks of me do they see someone who stands out from the rest? Do I add value to their place of business? Start today on your way to work thinking of ways that you can be a “value-added” employee and then do them, become an employee that does stand out from the rest. This entry was posted on Thursday, September 4th, 2014 at 8:00 am by Tina Del Buono, PMAC. Filed under Employee Management, Leadership, Medical Staff, Motivational, Self-improvement. You can follow any responses to this entry through the RSS 2.0 feed. Both comments and pings are currently closed.